When hiking, it is your legs which do the majority of the work. 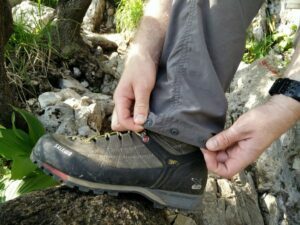 Therefore high-quality hiking pants are highly appreciated among hikers, trekkers and mountaineers as they offer some basic protection against the surroundings (rocks, vegetation) and weather (wind, rain, sun radiation etc.). Hiking pants should also provide great freedom of movement so that you can comfortably walk on steep trails, and be quick-drying in order to dry overnight on multi-day hiking trips. 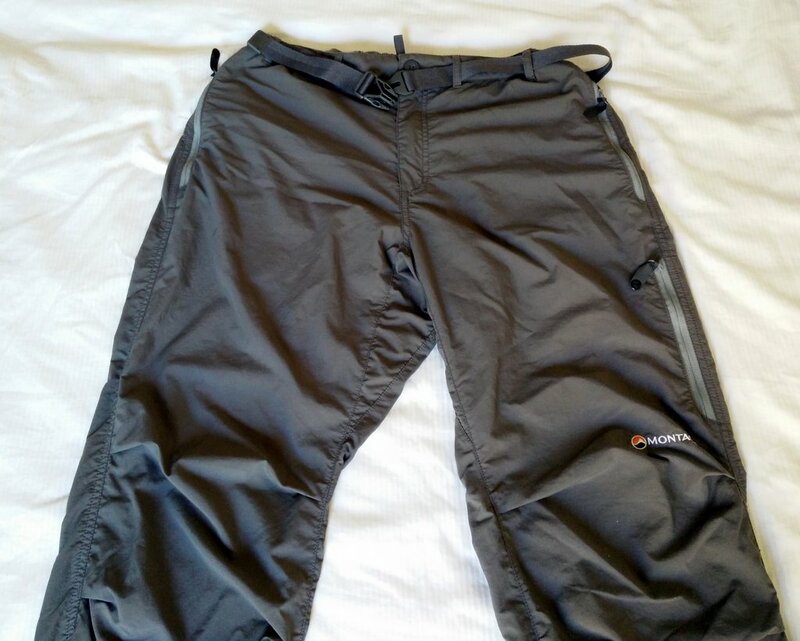 After the “Hiking Iceland” tour, my old hiking pants (made of a blend of nylon and polyester) showed significant signs of wear and tear and thus I decided it was time to purchase a new pair. 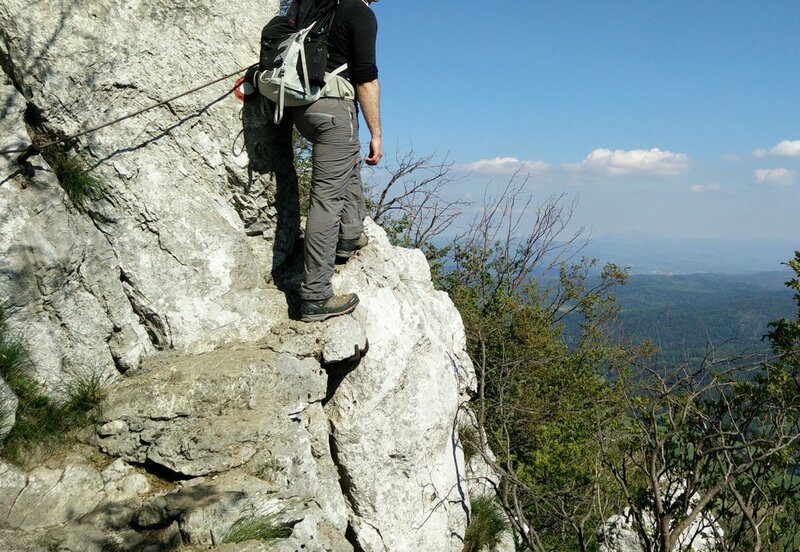 As I’m planning to mainly hike in the rocky Alps for the next couple of months, I was especially looking for durable lightweight pants that offer good protection against abrasion from cliffs etc. 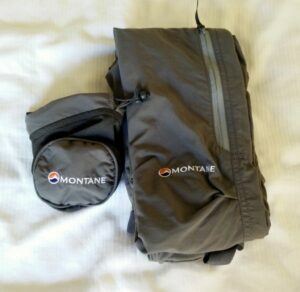 After thorough research I decided to buy the Montane Terra Pack pants. They caught my attention by being extremely light (merely 280 grams), durable, well-packable and by offering decent protection against wind and rain. 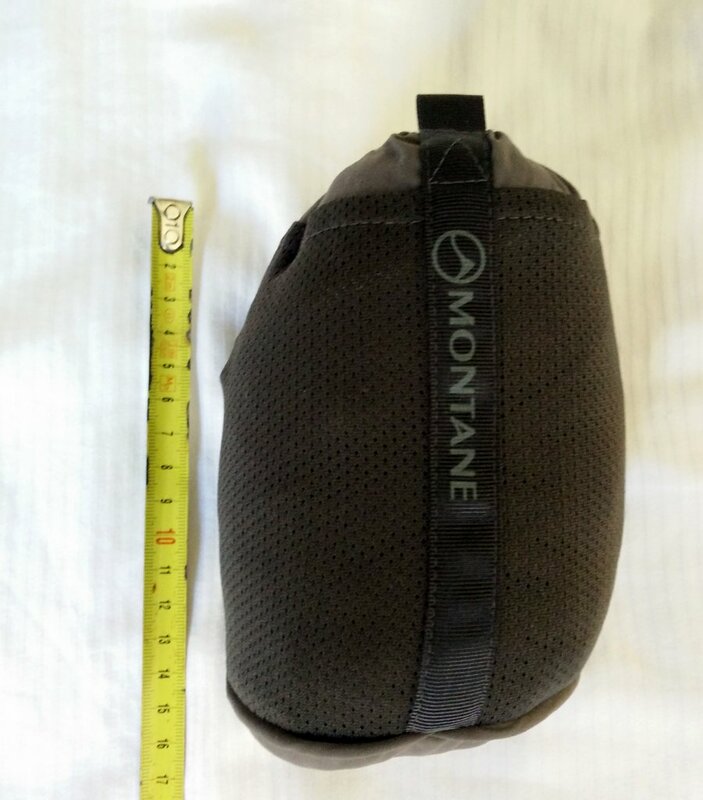 Approximately one month ago I started using the Montane Terra Pack pants and here is what I learned. Most hiking pants are made of nylon and/or polyester as these two fabrics are relatively inexpensive while offering decent performance. Nylon is very robust and thus apparel made of nylon has great durability. But nylon also has one big downside as it offers poor breathability. 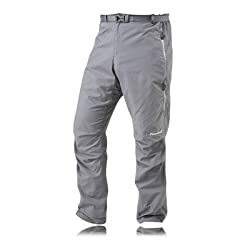 Polyester, on the other hand, is more breathable than nylon but also significantly less durable and thus pants made of polyester are not really suitable for hiking in tougher terrain, like rocky mountains. 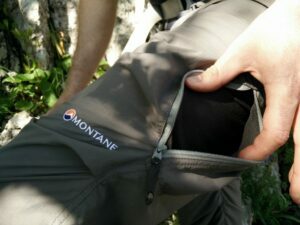 The Montane Terra Pack pants mitigate the downsides of nylon pants as they are made of the revolutionary Tactel fabric which was developed by the well-known company Invista which is also behind the exceptional Cordura fabric. Tactel is technically a nylon fabric, but the fibers have been processed so the fabric is extremely breathable, soft, smooth and light while offering great strength. The smooth Tactel fabric entails that the pants feel very pleasant against the skin and almost have a velvety feel; they don’t feel synthetic as most other hiking pants. The Montane Terra Pack pants offer great comfort due to their low weight; you hardly feel that you are wearing them. 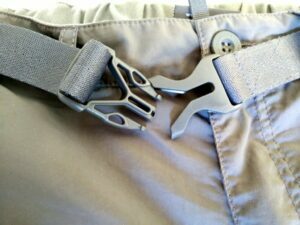 Freedom of movement is additionally increased with articulated knees which prevent the pants from restricting you while hiking uphill (high step movement). The pants are also equipped with an elastic waist and come with a belt. The elastic waist is quite tight – my waist diameter is 94 cm (37 in) and the pants in size L (which I’m normally wearing) fit me to the millimeter. According to Montane’s size guide, I should indeed take size XL (which I considered) but as the pants are described as quite baggy in various reviews, I decided to go with large. Overall, I would say that the pants are especially designed for climbers who often have a lean straight shape rather than a more articulated V-shape with a broad upper body and narrow hips. Speaking of shape; the Montane Terra Pack pants also come in a version for women and here the fit has of course been adjusted to the female form with wider hips to a narrower waist. For both genders, the pants come in 15 different sizes; S, M, L, XL, XXL – regular, long and short. The included 2.5 cm wide minimalistic belt features a lightweight plastic buckle which seems to be very durable. However, as the elastic waist is very tight, I believe that most people can easily wear them without the belt. In the ankle area the pants have snap fasteners so that you can easily fit them to your footwear in three different widths of leg opening. The pants are equipped with 5 zippered pockets and thus allow you to easily and safely store your essentials. There are two hand pockets, one thigh pocket and one rear pocket. 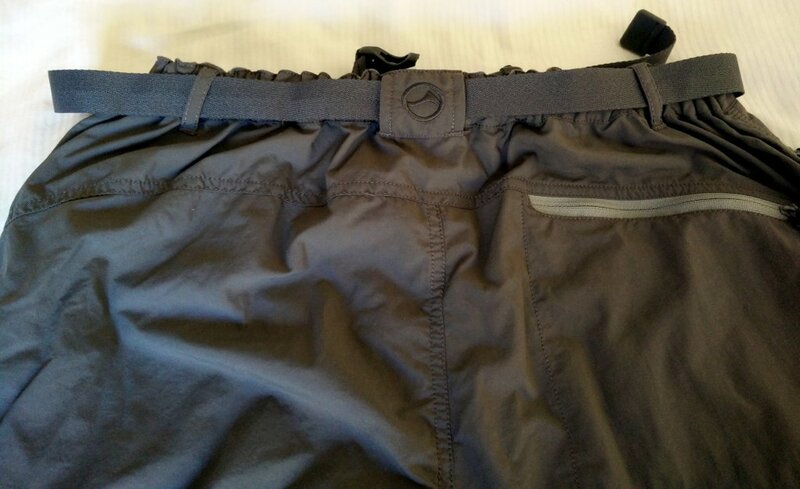 Additionally there is a pull-out security pocket in the left hand pocket. The pull-out security pocket is perfect for storing small things such as for example coins, lip balm etc. 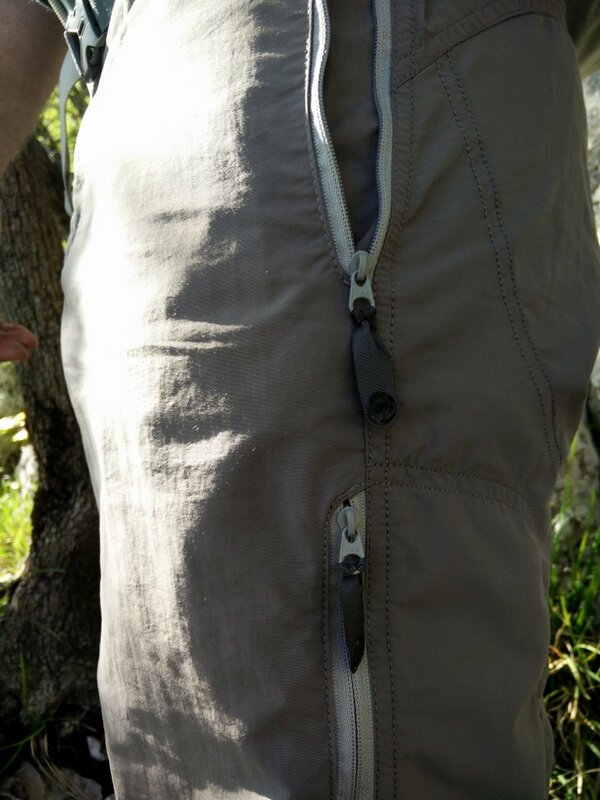 All pockets are made of breathable mesh fabric and can be also used for venting. The pockets (as well as the fly) use durable YKK zippers which are equipped with pull loops. The pull loops feature a circle of plastic material that offers great grip. The pants also come with a stuff sack for easy storing while on the move. At the inside of the back side the pants are equipped with a loop for hanging. The pants are machine-washable at 40°C. As the fabric is very thin and doesn’t absorb much water, they dry very fast. I’ve been using the Montane Terra Pack pants for over a month now and I’m very satisfied with them. I especially like that the pants offer great freedom of movement, which comes in handy when hiking on steep and rocky trails. Furthermore they are light, durable, well-packable and feel pleasant against the skin. Therefore, I would recommend the Montane Terra Pack pants to every hiker, trekker, mountaineer or climber who wants a top-notch pair of pants for his or hers demanding adventures.